A watch for everyone, but designed by a sportsman with sportsmen in mind. This seems like an oxymoron, but it isn’t. 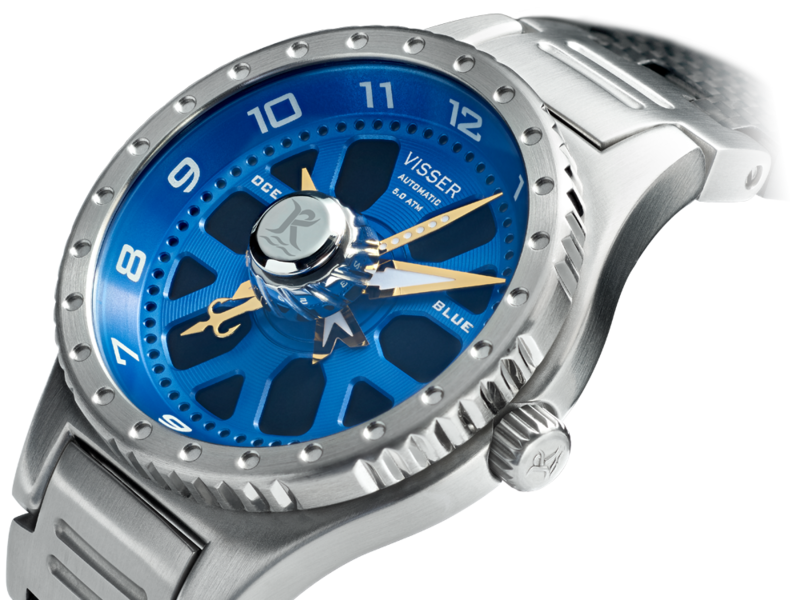 Though the design of the Visser watch is fishing reel in nature, the look really works for me. Even though I live near the Central Florida coast, I haven’t been salt water fishing in years. I camp with family quite often so I’d say I’m outdoorsy. However, I still truly love the look. Robert Koelewyn may not be a household name, but in the world of salt water fishing, he is known. Robert has designed reels, tools and lures since the early 90’s. He has taken his design skill to the world of horology. I must say it really works, and I’m a big fan. Quality material, unique design and functional features are right up my alley. 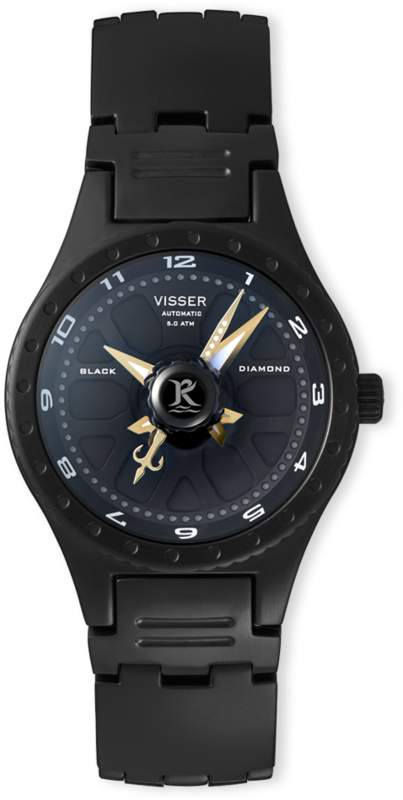 Visser watch is a new company offering this line of watches. The word Visser is Dutch for fisherman, and fits perfectly. 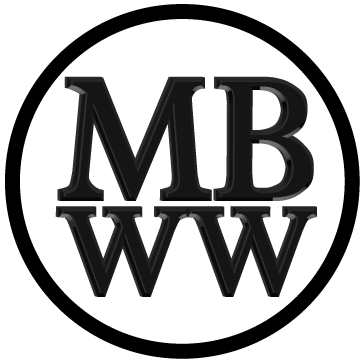 Founded by Robert, his younger brother Bob joined him last year to get the company off the ground. Between them they have decades of design, manufacturing, marketing and aerospace experience. Bring all of this together and you have the Visser brand offering beautiful timepieces. They start with 2 collections, Original and Tech. They are basically the same design, but offer different materials. The face is somewhat the side of a fly fishing reel, or the top of some open face spinning reels. Color is used to add depth to the case and face. Different shades of the same color are used to give that beveled look of depth. Contrast this with fantastic looking custom compass-like PVD gold plated hands. The face is made from aircraft aluminum and protected by a sapphire crystal with anti-reflective coating and double sapphire hub. Super Luminova is on the hands, hours and 60 second indicators. This screams quality and thoughtful design. 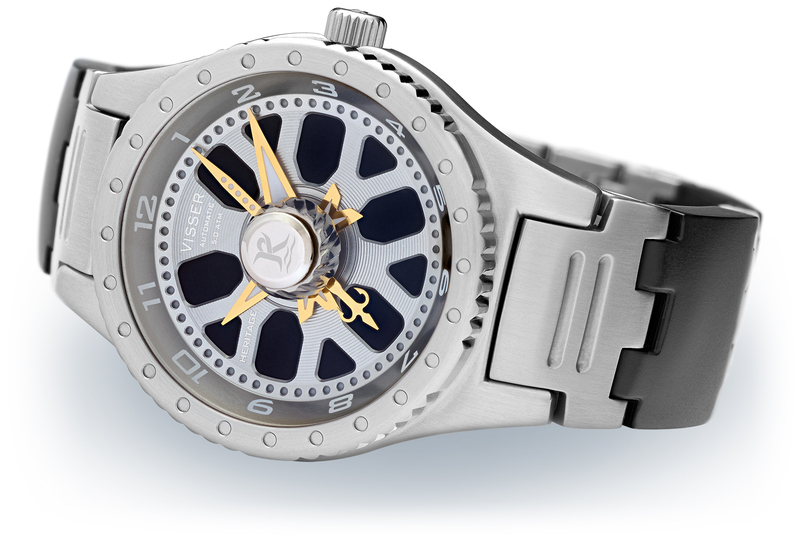 The 42mm wide and 14mm height case is made from 316L brushed stainless steel, and has a non-snagging crown on the side. This is a welcome feature for many that know how a crown can catch on clothing or the like. Inside the 50 meter waterproof case houses a Miyota 9015 automatic movement. This workhorse movement runs smooth over 24 jewels and offers a 42 hour reserve. Whether you use this watch on the water or in the office, it will be reliable. One aspect I love the most is the band offering and ease of changing them. I’m not sure if I’m the only one, but I have a couple of watches that I really struggle with changing bands. A snap on band is just what the doctor ordered. The bands are different based on the collection. The Tech series features a carbon fiber band. Don’t really see a fishing reel in there. Looks kinda like a big 25″ spinner on a blacked out Escalade.